Marvel’s Avengers: Endgame has made quite a buzz across the quarters. Fans cannot stop gushing over the trailers that have multiplied their anticipation exponentially. While the trailers appear as intriguing as it can be, another recreated trailer has got our attention, or rather had us in splits. A fan has recreated the latest Avengers: Endgame trailer using the footage of Bikini Bottom’s Spongebob Squarepants and shared it on YouTube. The video has been made against the intense background music of Endgame. Avengers: Endgame: Thanos' New Look From The Film on a Leaked Magazine Cover Shows Him Armoured along With The Infinity Gauntlet - View Pic! The video is blatantly hilarious, as it revolves around the same storyline as Avengers. 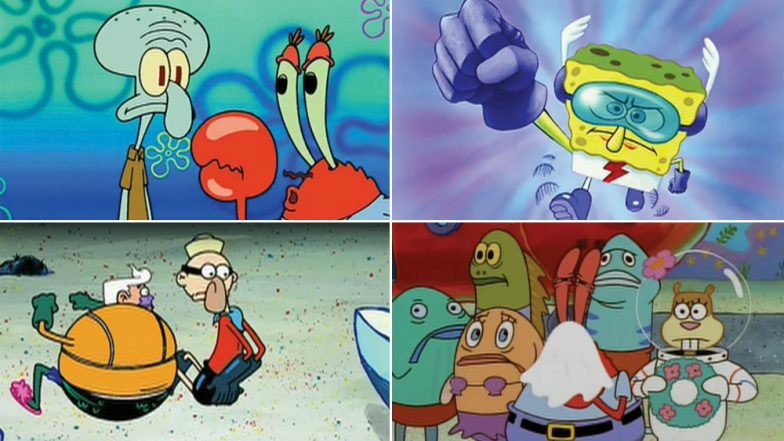 In the SpongeBob: Endgame trailer, Spongebob appears to be on a mission as he is stranded in space and has to save Bikini Bottom. The video is developed by Ryan Dopp and is also includes the same dialogues as in the original trailer. The animated series, touted as a comic streak, comes off as a suspense thriller in this fan-made trailer. What will crack all your funny bones, is when David Hasselhoff comes to their rescue, as residents of Bikini Bottom turn to dust. Avengers: Endgame New Trailer – 5 Scenes That Left Us Whistling (Watch Video). With Avengers: Endgame only a month away, the fans are already on the ninth cloud of excitement. The movie is set to release on April 26, 2019. The ensemble cast stars Robert Downey Jr., Chris Hemsworth, Mark Ruffalo, Chris Evans, Scarlett Johansson, Benedict Cumberbatch, Don Cheadle, Danai Gurira, Josh Brolin, Bradley Cooper, Jeremy Renner, Paul Rudd, Karen Gillan, Brie Larson among many others. We cannot wait for the film to release as various questions need to be answered!